Established back in 1829, D.G. Yuengling & Son prides itself on being America’s oldest brewery, producer of the beloved lager and, at one point, the equally popular Yuengling’s Ice Cream. For those who don’t know, the brewery began making ice cream to keep the family business afloat during Prohibition. After the buzzkill era, however, the dairy actually split from the brewery, operating as a separate company until it shut down in 1985. Now, nearly 30 years later, Yuengling’s Ice Cream is up and running again, thanks to David Yuengling, great grandson of the original founder. 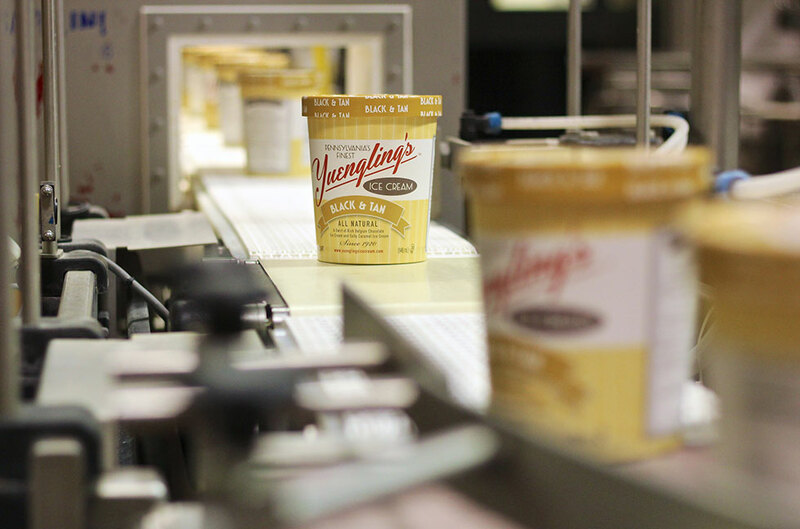 Early in October, we sat down with Yuengling and discussed the history of the family business, why he decided to revive the company, his favorite flavors, the science behind really good ice cream and the latest fall-inspired flavor. Can you tell me a little about your family’s history with Yuengling’s Ice Cream? When Prohibition started, the brewery needed to find other ways to make money. 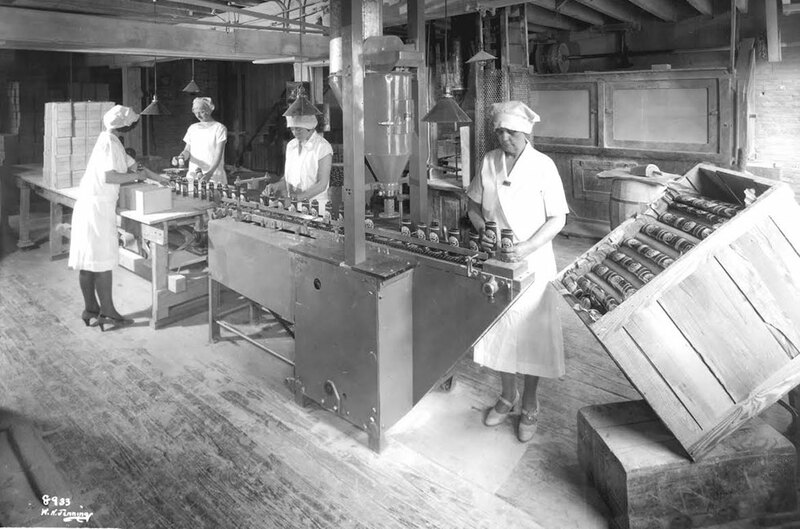 So in 1920, they started Yuengling’s Ice Cream. [After Prohibition ended,] they split Yuengling’s Ice Cream off as a separate company. At that point, my grandfather took over the business until 1963; in 1963, my father took it over until 1985. It was still making money at that point, but nobody wanted to take it over, so he just closed the business down and retired. Why did no one want to take over it? What was it about the company that made you want to re-launch it? In my family, I have an older brother who was already in the banking business, so he didn’t want to do it. And I had just graduated from college with a computer science degree so I wanted to go into the computer business…After 30 years, I got tired of it, and this opportunity just came along…It just seemed like a more interesting, fun thing to do than flying around for computer work all the time. The response has been to the point where we can’t make enough ice cream. We had an initial production run, which we thought would last us about two months. It lasted about two weeks…Since then, we have put a plan in place to just continue making more. It was a pretty popular product back in the ’80s. Had people wanted it to come back for a while? Over the 30 years that we were out of business, people had always asked why we stopped making it and whether we would ever make it again. Do you get a lot of people who ask you if it’s beer-flavored ice cream? Everybody. That’s the number one question we get. So there is no lager-flavored ice cream in the works? Ice cream is a family-oriented product. Would you give beer-flavored ice cream to your kids? Not only that, but it won’t sell. People might buy it once to try it, but they won’t buy it again. 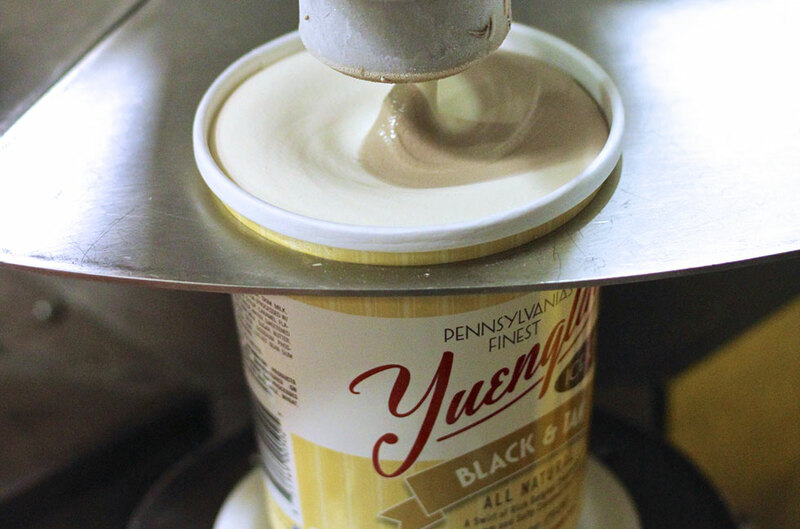 Yuengling’s Ice Cream is made from all natural ingredients. Is that what makes it unique? Artificial colors, flavors, preservatives — we took all that out… I think what makes us unique is the fact that we have some interesting flavors, but we’re also a really high quality ice cream, and we’re not expensive. We are the lowest cost per ounce premium ice cream on the market. Do you have any fond memories from when you worked at the old factory? It was just a lot of fun. I didn’t mind going to work in the summer because I got to work around ice cream. So what makes quality ice cream? Can you explain the science behind it? There are two basic things in ice cream. It’s the butterfat level and then what’s known as overrun or the amount of air that’s put into it. So in order for it to be called ice cream, it’s got to be at least 10 percent butterfat. Now if you pick up a container that says “frozen dairy dessert”, that’s not ice cream [laughs]. Is there a big difference in taste? Extremely different… Currently, most brands are 12 percent butterfat or between 10 and 12 — we’re 14. To fit in with the tradition of quality and value that our family is known for, that was the direction we had to go. It had to be a higher butterfat product. It adds a smoother, creamier texture to the ice cream. What’s your all-time favorite flavor of ice cream and why? That’s a tough one. Right now, I would say it’s our espresso chip. I’m definitely a coffee lover, so I’ve always loved coffee-based flavors. A close second is probably chocolate chip cookie dough. Are your freezers fully stocked now? 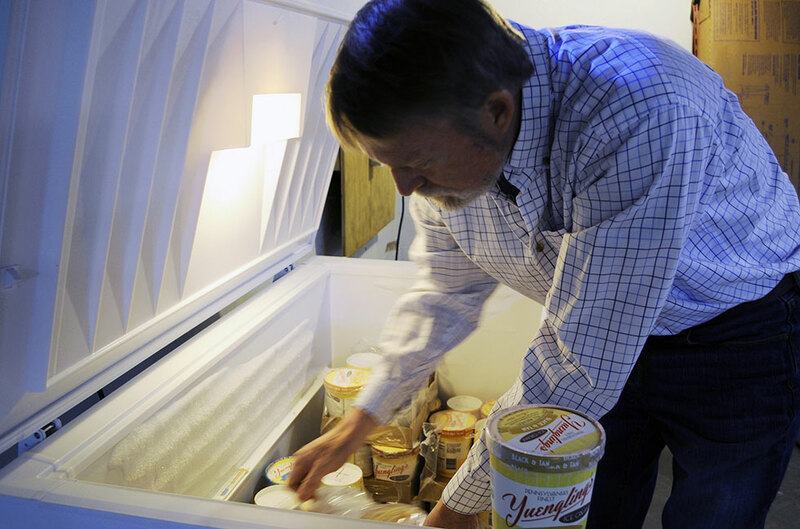 The freezers here in the office are, and I take ice cream home as requested by my family [laughs]. It depends on who’s home. My wife is a big chocolate chip fan so I usually take one or two of those home a week. When my daughter’s home, she will usually go through a quart or two in a couple days. You’re making a couple of new seasonal flavors. Have those hit shelves yet? We just made the Spiced Pumpkin Roll last week. I don’t think it’s actually in stores yet, but it should be within the next week. We’re making the Peppermint Crunch towards the end of this month, so that will be out sometime in November. How did the decision to create those two flavors come into being? Was it simply planned to go with the holidays? We always had seasonal flavors, ‘Pumpkin’ being one of them … Everyone comes out with just a regular Pumpkin so I said, ‘Okay, well what can we do to make it different?’ My family members are big lovers of pumpkin rolls, so we decided ‘Okay, lets make a Spiced Pumpkin Roll flavor,’ which is basically pumpkin roll with a cream cheese swirl through it.